This class is for Excel users who are interested in using PowerPivot to produce Business Intelligence reports by themselves. PowerPivot is a free add-in downloadable, for Excel 2010 and 2013, from Microsoft, that makes the creation of very powerful data models easy, so you can create great reports with your current Excel skills. Microsoft has introduced the concept of Self-Service Business Intelligence, the goal of which is to build complex data structures, and do the analysis without needing to contact the IT staff. This class is an introduction to PowerPivot, to increase the productivity of current Excel users. It will provide insight into the most useful new tools that expand the abilities of your current Excel skills, to produce exciting new reports for your business. The class will have hands-on examples, and access to the AdventureWorks sample database, for you to use for complex analysis. Participants will be given the basic tools to create these Business Intelligence reports. 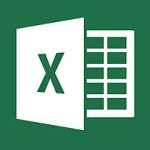 Excel spreadsheets that can handle huge amounts of data, only limited by the amount of memory! How about 100 million records! Integrate different sources and almost any kind of data! How about databases, Excel spreadsheets and sources available on the Internet! Amazingly fast in-memory of complex sorts and selections! How about over all the different sources of data at once!